Introducing the new PDT plus controller for use as a replacement for existing products in the field. In order to accommodate the new controller, we have enlarged the housing. The new housing is the same height and width, but is less then an inch deeper. 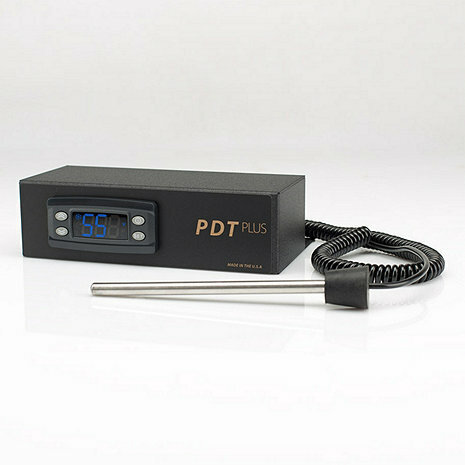 Introducing the new PDT plus controller for use as a replacement for existing products in the field. In order to accommodate the new controller, we have enlarged the housing. The new housing is the same height and width, but is less then an inch deeper. * This product can only be used for older XLT, Split System or certain Vinotheque cabinets, please call 800-377-3330 to see if this is compatible with your current WhisperKOOL cooling unit. Is there an instruction manual for this controller? BEST ANSWER: This controller is specifically for the Whisperkool XLT model which is no longer in production. However it can still be added to existing units in the field. We do not have a manual for this.